Tonica have a Nylon core. 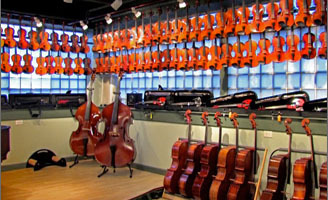 These are the new, updated formula Tonica strings. 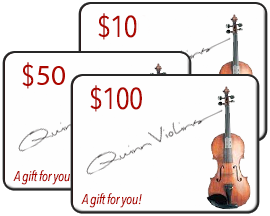 Comparable to Thomastik Dominant, but without the metallic edge to the sound. Lower cost compared to Dominant. 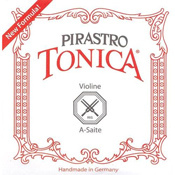 Pirastro has discontinued the Weich and Stark gauges of Tonica violin strings.